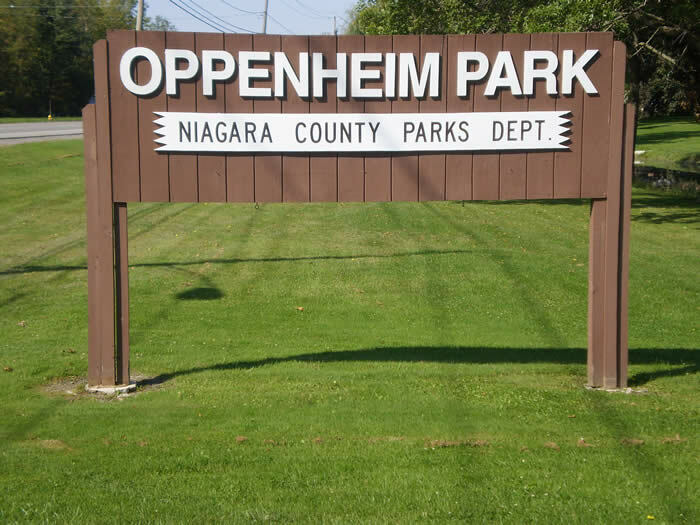 One of the most popular parks in the Niagara County Parks system is Oppenheim Park. The 92-acre park is located in the Town of Wheatfield. This park truly offers something for everyone. There are three large shelters, 14 smaller shelters, and a larger band shelter available for daily rental throughout the Park. There are charcoal grills at each shelter. Basketball courts, volleyball courts, tennis, courts, and a splash park are all available. A small lake located in the front of the park is stocked for fishing. There are 3 restrooms and 2 playgrounds at the Park. Oppenheim Park is open from Memorial Day weekend through the end of September, seven days a week. Splash Park hours are 9 AM to 8 PM. Permit is valid rain or shine. Absolutely NO refunds are given.